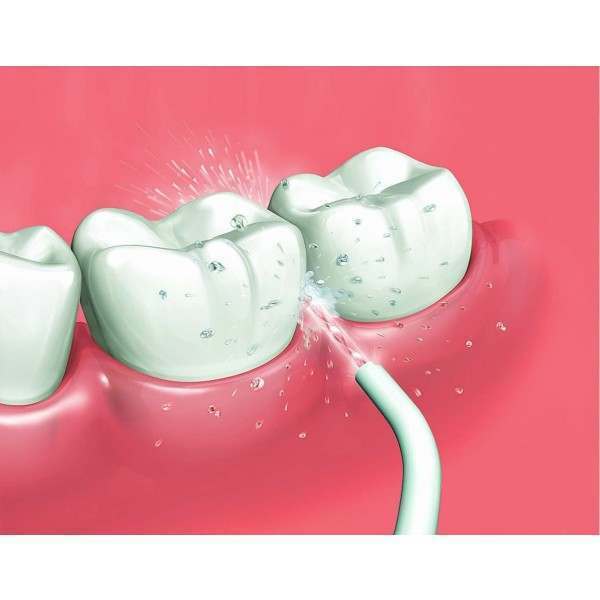 Reach where dental floss can't with a high power pulsing jet in order to help remove plaque and help maintain healthy teeth and gums. 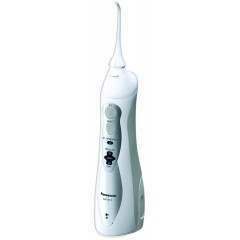 Offers a two-speed pulse for both everyday cleaning and sensitive gums. 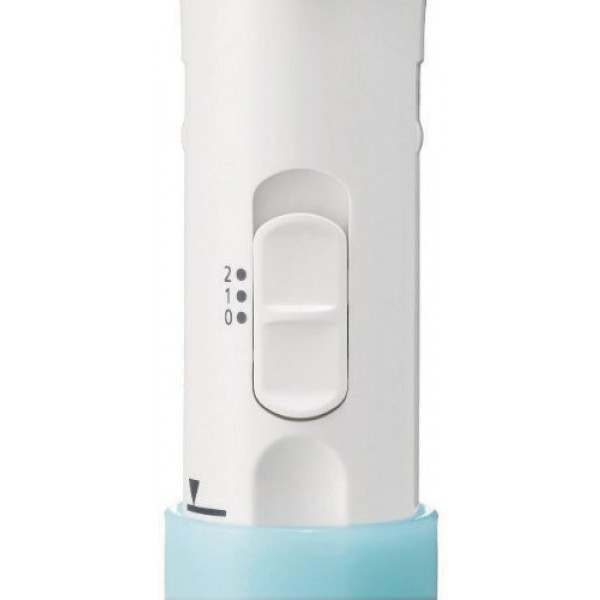 It can provide excellent daily results at home or just as easily be taken on a trip, allowing you to keep you oral hygene routine intact even when travelling. Panasonics EW-DJ10 small, handy, oral irrigator is ideal for both home and travel use. 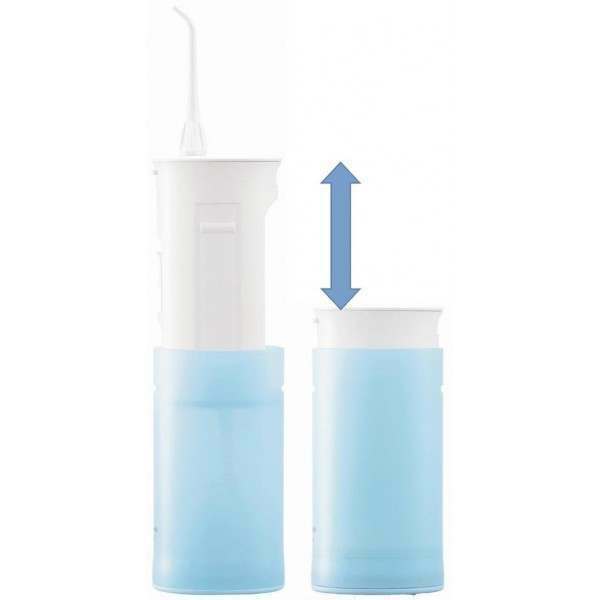 It is easy to use, just add water or mouthwash and simply pour out the contents after cleaning. 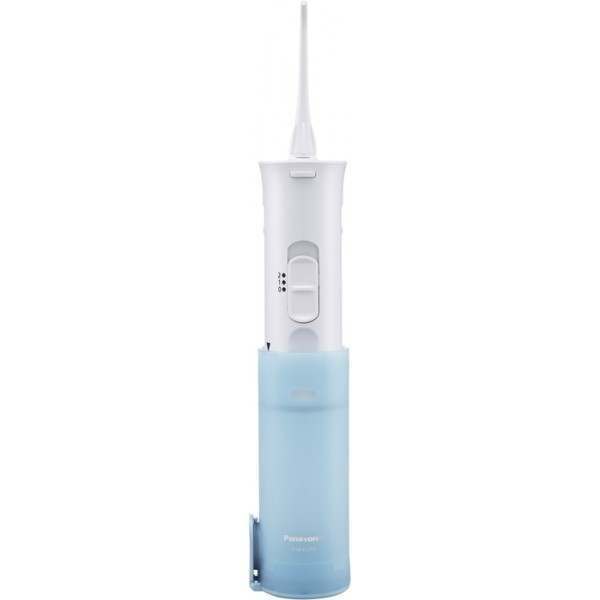 Brushing alone is usually not enough and so Panasonics ultra compact oral irrigator is an easy, effective way of cleaning plaque from the gum margin and the gaps between your teeth, rinsing the mouth clean. 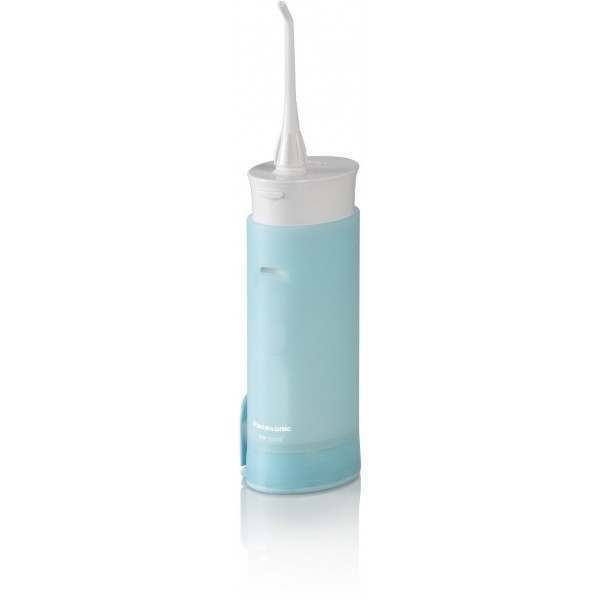 The oral irrigators angled nozzles allow you to access all areas of the mouth, even where the toothbrush cannot reach. You will be surprised with the results. 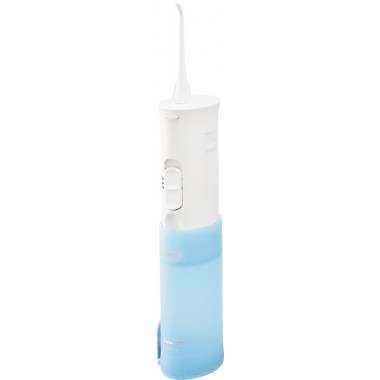 It has a 165ml tank volume for use with water or mouthwash which lasts approximately 40 seconds during use. 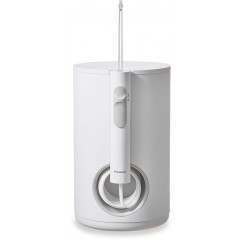 The irrigator has two intensity settings and achieves 1400 pulses per minute. 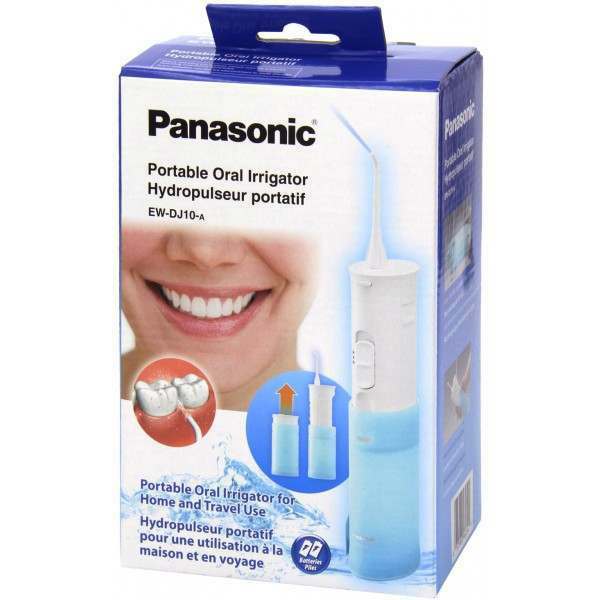 With a Panasonic oral irrigator you can optimize the care and health of both your teeth and gums by thoroughly cleaning plaque and food particles from between the teeth and massaging the gums. 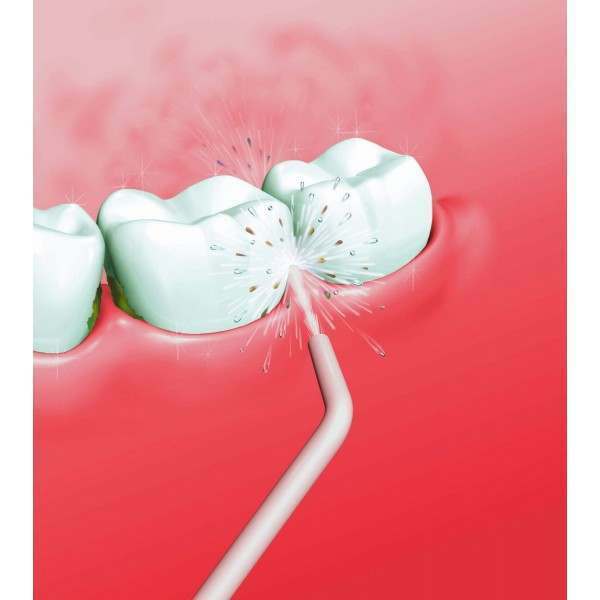 In addition, the build up of plaque contributes to dental cavities, bad breath and gum disease and so by using an oral irrigator these effects can be significantly reduced. I have had built in battery irrigators that dont last very long. Its easy to change a re-chargable battery. The standard AA battery is 1.5V the re-chargable is 1.2V but works fine. 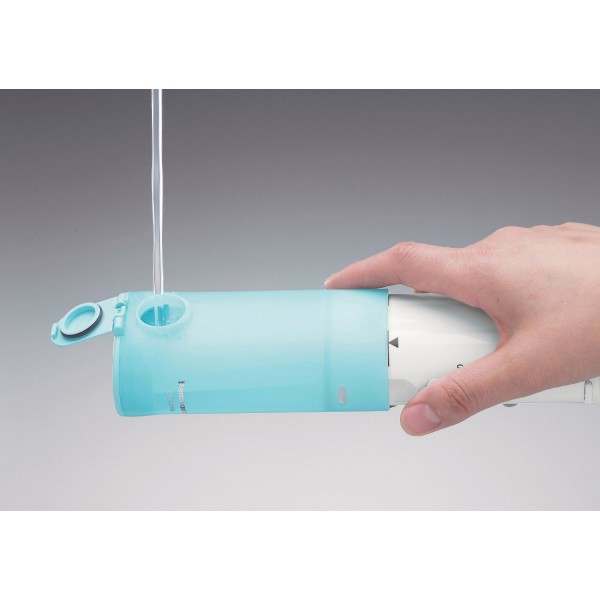 When you first get one use olive oil or silicone on the battery cover makes it easy to get off. The power is fine & strong enough. Downside, this is my third one, the last one was loosing power due to hard water. They last 2 years before clogging up. But at this price easy to change. After using my parents I decided to get a battery version. 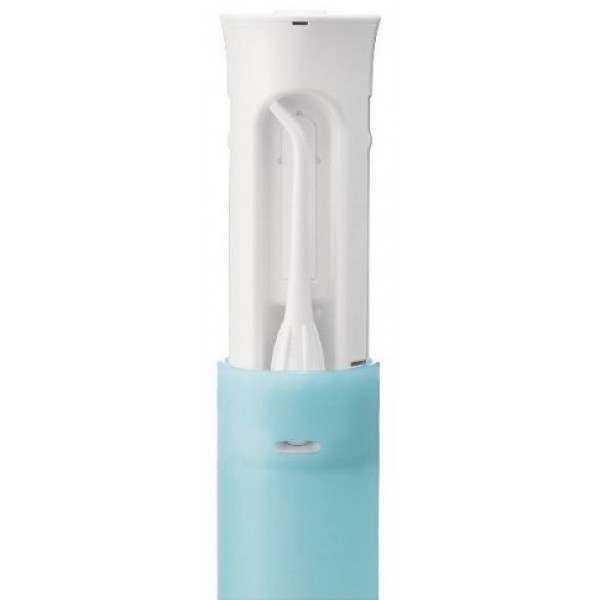 This is has a power jet stream probably as good or better than the Waterpik at 60% the price. 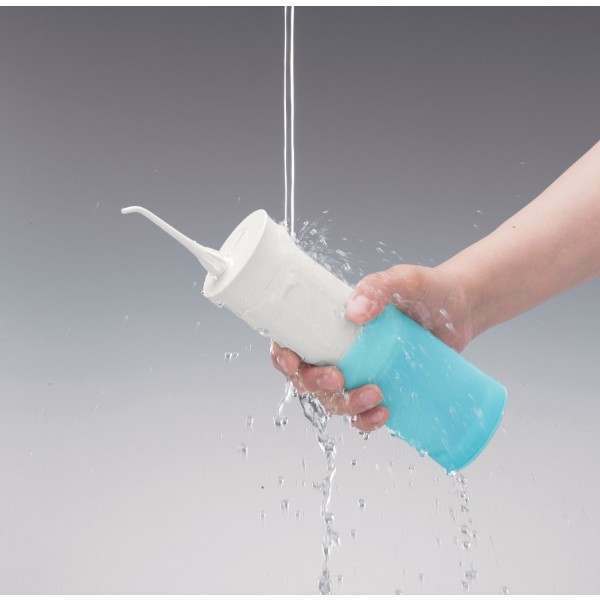 Folds up to a neat package when needed for travel which is handy.